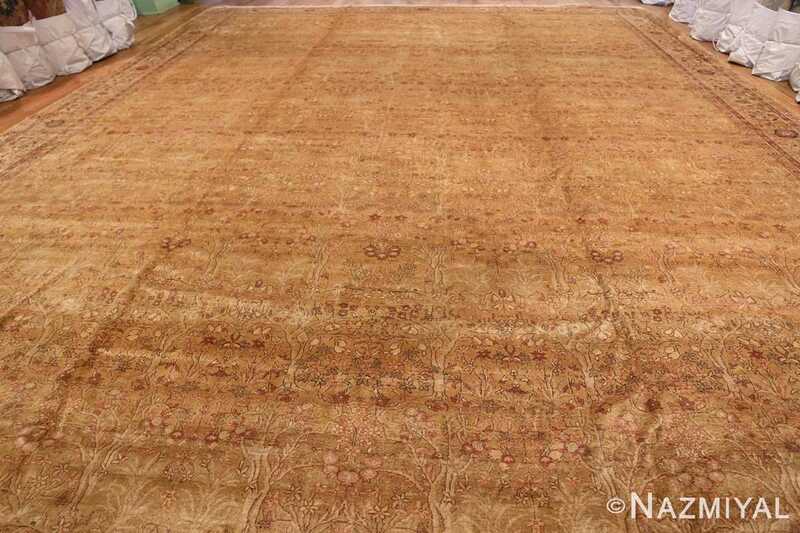 Magnificent Oversize Antique Decorative Turkish Hereke Rug, Country of Origin / Rug Type: Turkish Rug, Circa Date: 1900 – The light and soft earthy tones of this antique Turkish Hereke rug will make a beautiful addition to any room that is large enough to accommodate it. 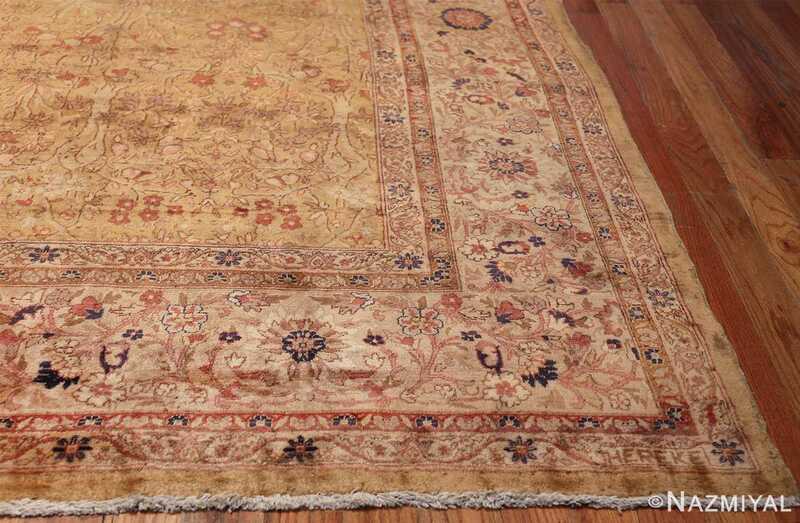 This palace oversize rug is reminiscent of the grandeur of the great Ottoman empire and the antique rugs that once adorned the grand rooms of the state. 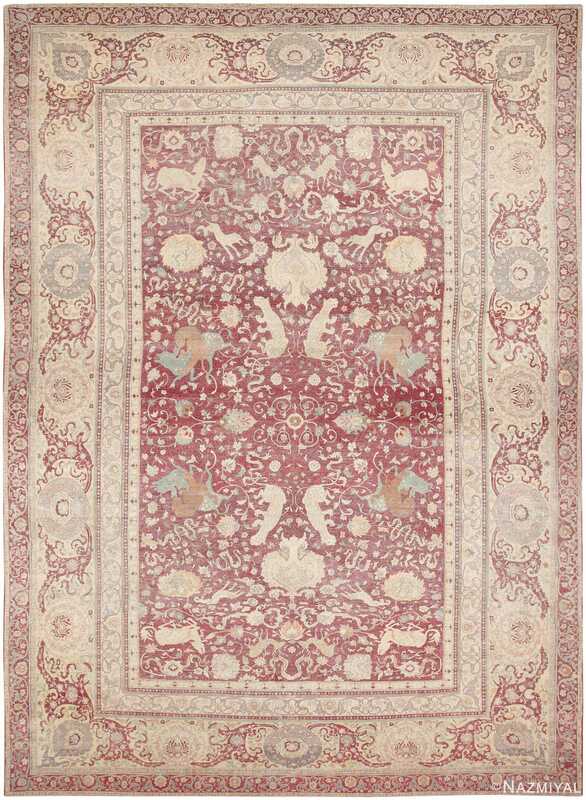 This beautiful antique Turkish rug features subtle hues of coral reds, blues and browns that are set against a light sand color background. 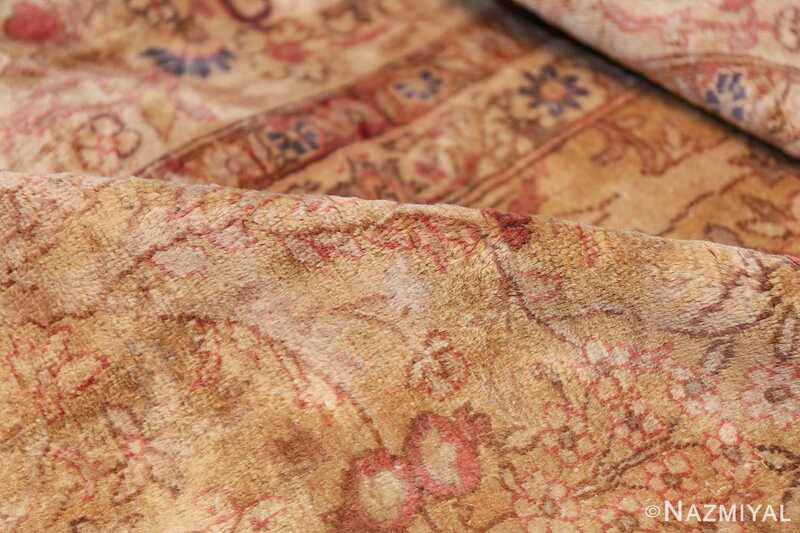 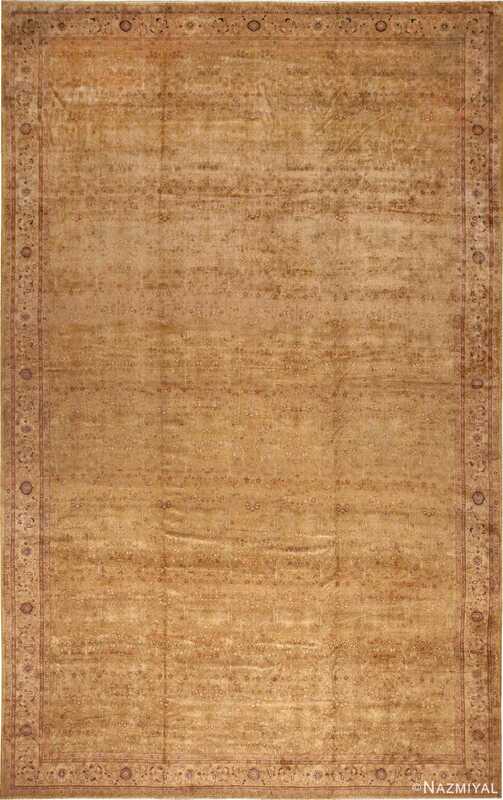 The soft and subdued colors of the antique Oriental rug have been tempered by age, giving it a timeless, classic ambiance and patina. 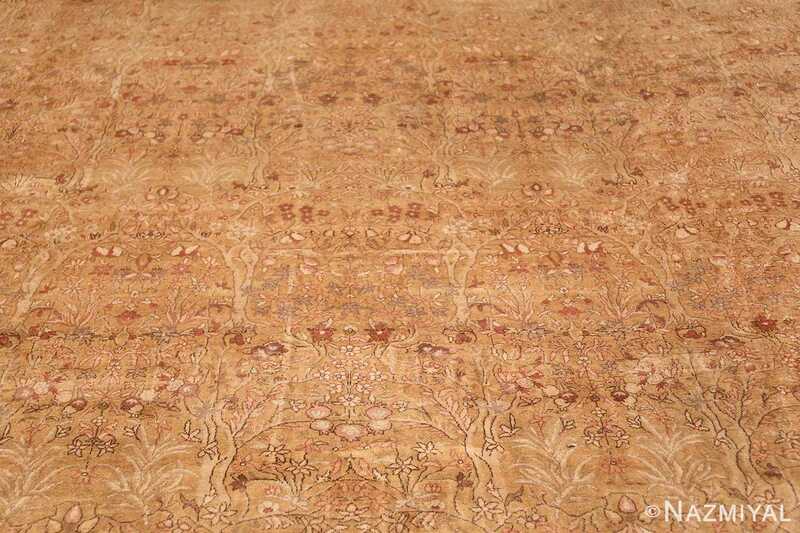 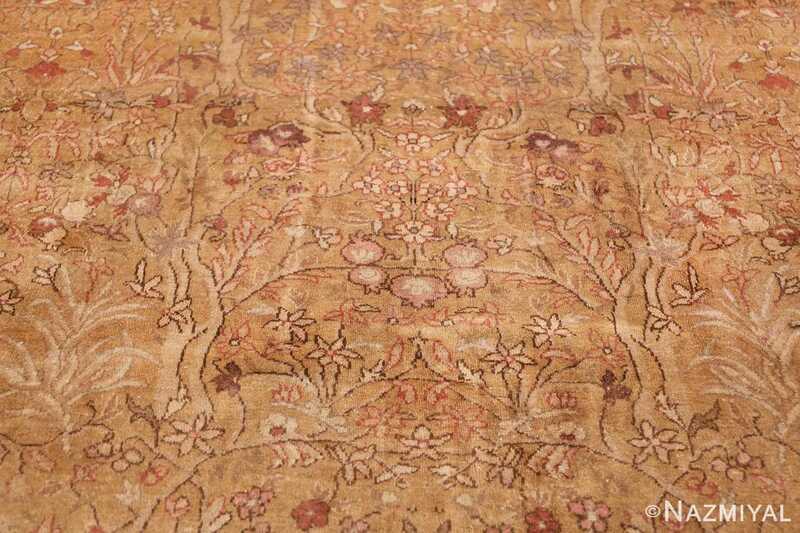 This extremely soft decorative rug features a classic all over design with a formal floral border. 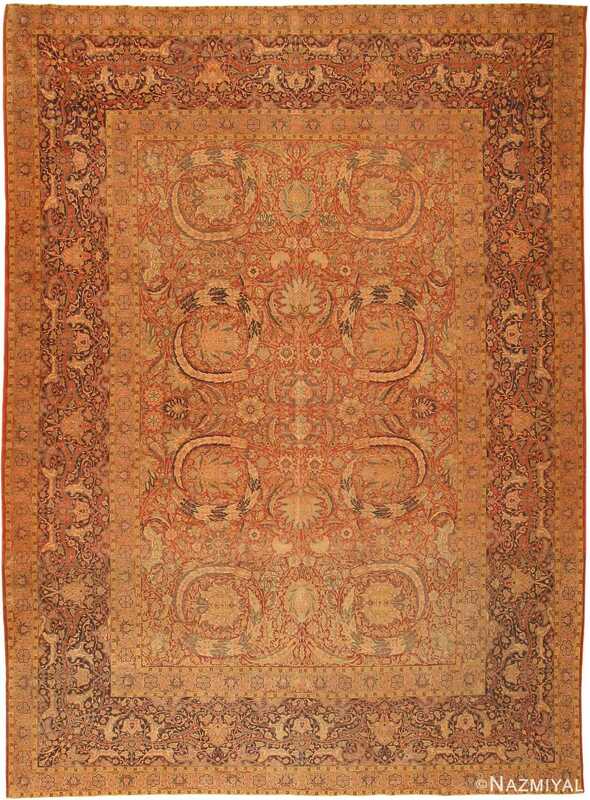 It has horizontal and vertical symmetry, giving it a formal feel. This oversize antique decorative Turkish Hereke rug is reminiscent of the grand gardens that once adorned palace estates. The rug patterns and designs feature numerous flowers, trees and fruits. 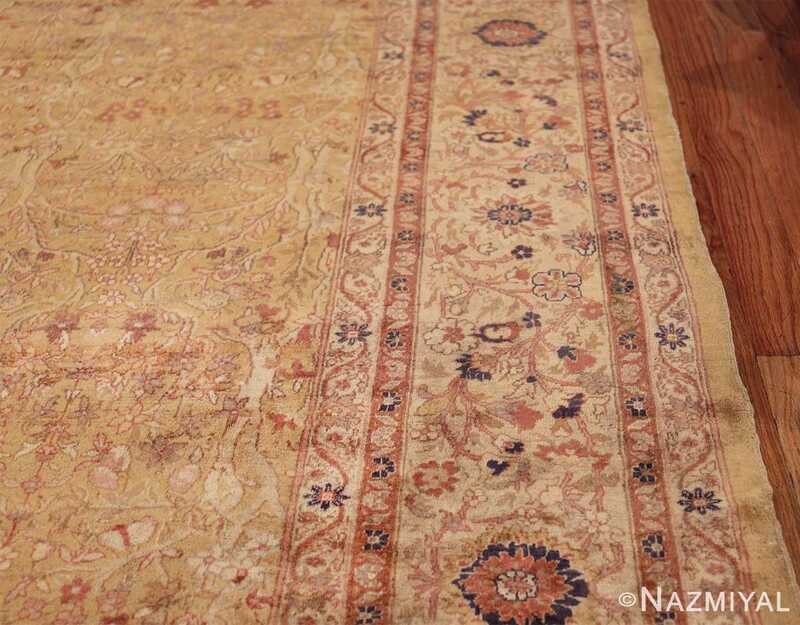 It is a feast for the eyes and for the imagination. 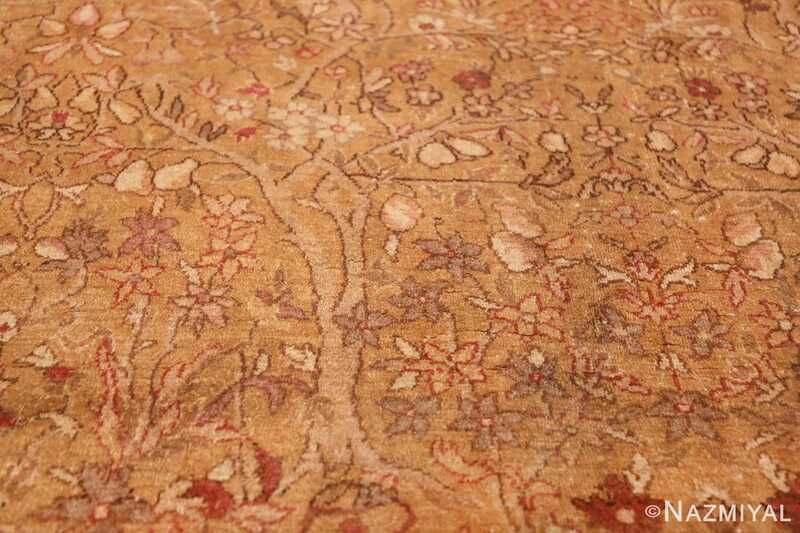 If one looks closely, it is possible to see that what first appears to be a complex and highly detailed design is actually a repeating motif that is arranged in a way that creates the appearance of a formal orchard. This gives the design a sense of order, structure and balance. 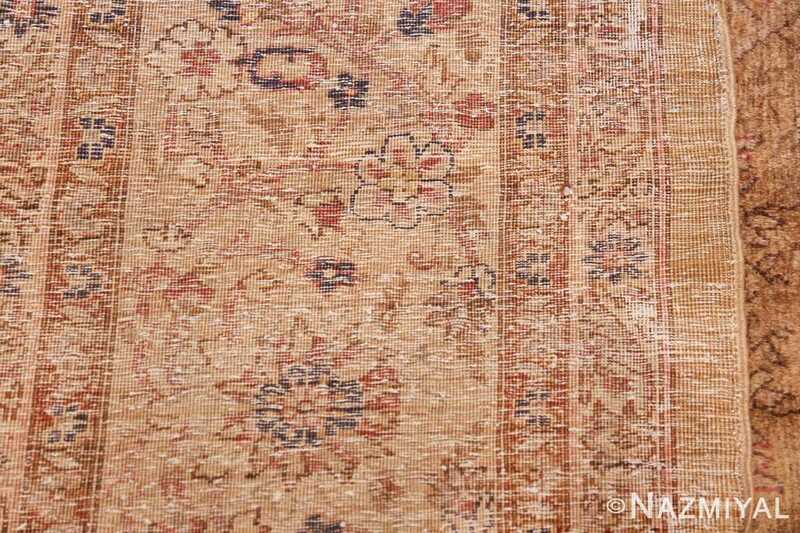 An antique carpet of this size, quality and beautiful design would make an excellent addition to any traditional or modern design interior. The decorative Turkish Hereke tug itself is of grand scale and would work well in a room that is suitable for its size and exquisite use of detail. 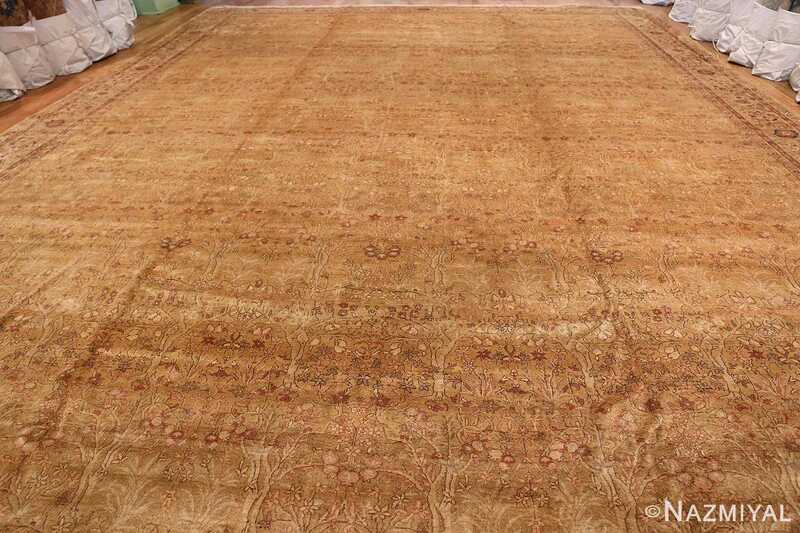 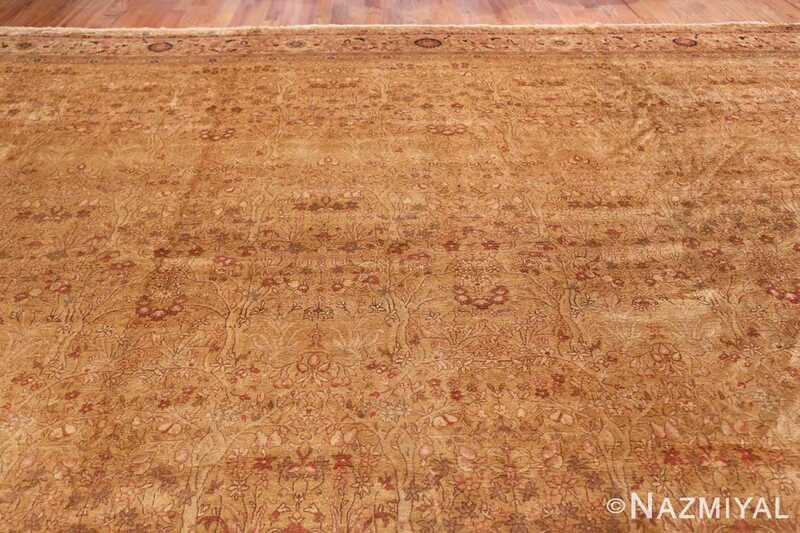 This rug will add a sense of majesty to any room or interior decor that becomes its home. 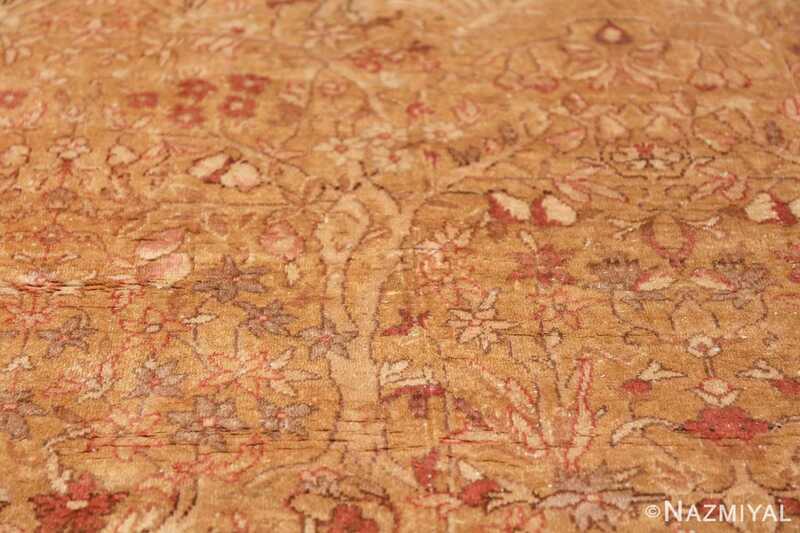 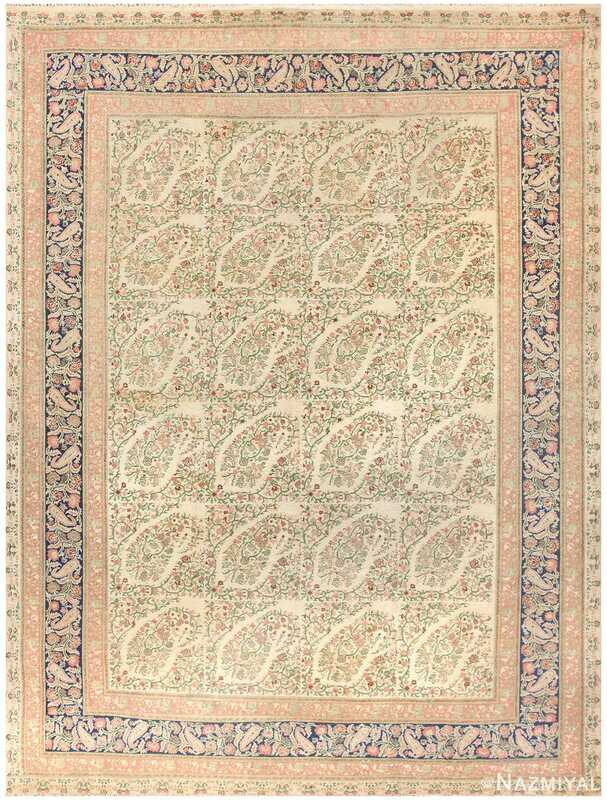 This unique antique Oriental Hereke carpet from Turkey is a virtual garden teeming with plants and fruits. 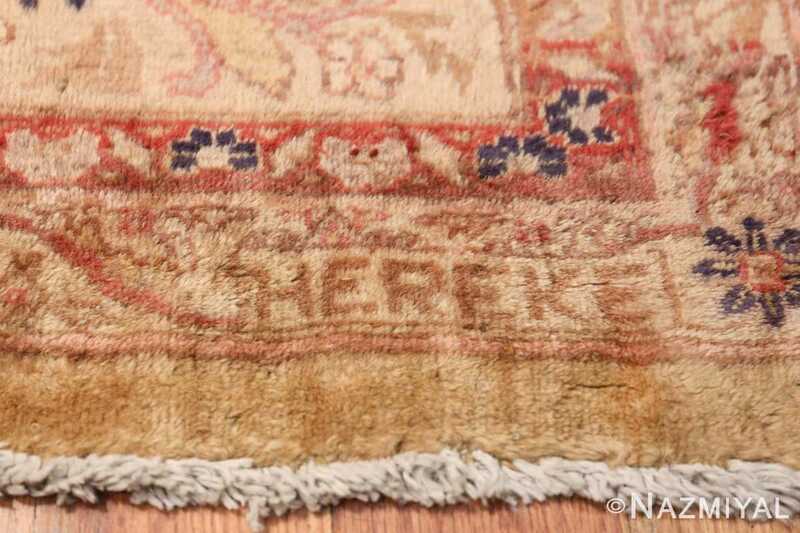 This magnificent antique Turkish rug from the city of Hereke is a quintessential example of the so-called Emperor's Carpet type, which is revered for its majesty.